When dividing mixed numbers, we have to first convert the mixed number to improper fractions and then multiply the two fractions. The following diagram shows examples of dividing mixed numbers. Scroll down the page for more examples and solutions of dividing mixed numbers. Dividing mixed numbers by fractions and with whole numbers. 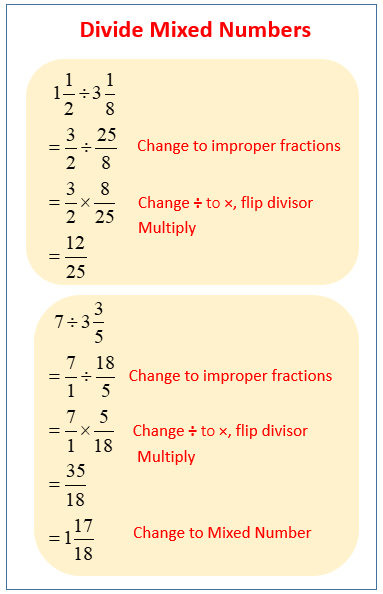 Examples and practice problems of dividing mixed fractions with different denominators.